COAST » Blog Archive » The Winter ‘COAST News’ is Here! 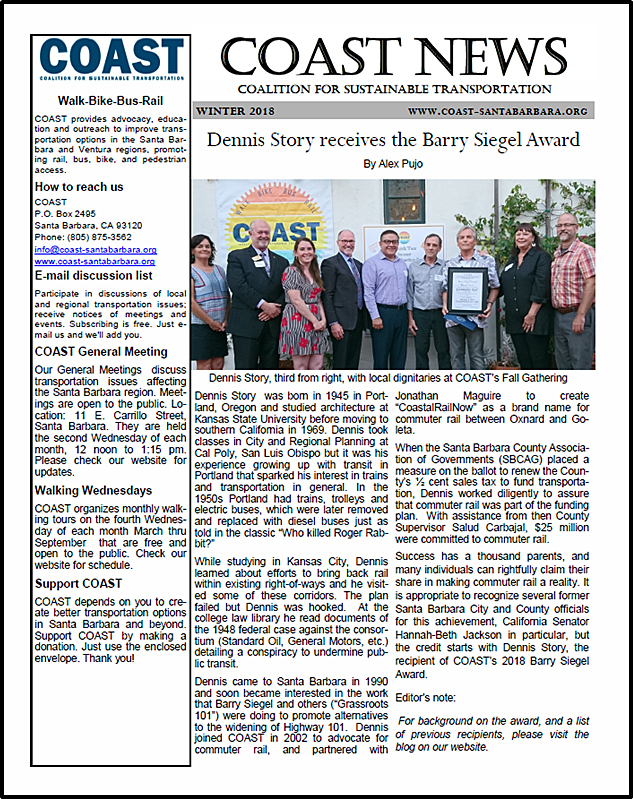 « Spring Forward With the Latest ‘COAST News’! The Winter ‘COAST News’ is Here! Just in time for the chill of Winter, click here or the image below to read or print the Winter ‘COAST NEWS’. This entry was posted on Wednesday, April 1st, 2015 at 7:17 pm	and is filed under Archive, In the news. You can follow any responses to this entry through the RSS 2.0 feed. Both comments and pings are currently closed.